The Harbor View Hotel. A Historic Martha’s Vineyard Landmark. During the height of the whaling industry in the 1830s and 1840s, Edgartown became the Vineyard's wealthiest town. Whaling came to a virtual halt within seven years of the Civil War, and lacking hotels the town was completely unprepared for the sudden and resolute shift to becoming a resort destination. It was at this point that Edgartown made a concerted effort to become an important summer resort. A number of the citizens, with financial assistance from the town, built a railroad across the island, then the impressive hostelry, The Harbor View Hotel on Starbuck’s Neck, overlooking the harbor entrance. The hotel was located at the end of North Water Street, among the whaling captain’s homes. Today, the Harbor View Hotel is a Martha’s Vineyard landmark renowned for drawing upon its legendary past along with offering today’s most coveted amenities and activities. To continue these traditions well into the future, the current owners will be introducing new resort amenities so that generations of guests will continue to enjoy the best of the Hotel’s past, present during every visit. 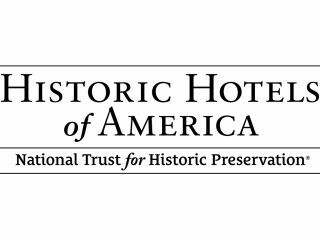 Harbor View Hotel is a member of Historic Hotels of America®, the official program of the National Trust for Historic Preservation for recognizing and celebrating the finest historic hotels across America.